Good Afternoon and Happy Sunday Everyone! I was asked once, “why do the churches only focus on encouraging the people but don’t teach ALL the bible. They don’t tell the people of the suffering to come. So then they will want to seek salvation if they hear what’s to come.” I sat and listened carefully to what was being said and as I listened I said a quick prayer in my head for God to give me the words of wisdom to answer. Basically I called on my one Life Line…God. Because in all honesty I don’t always have an answer to give. My initial response was, “are we not to encourage one another and lift each other up?” The bible tells us, not to discourage but to encourage so that when one falls we are the hands to help lift them up. Just as God does with us. God doesn’t condemn us over and over when we make mistakes. He doesn’t throw us every commandment telling us, if you don’t do this you will go to hell. No way. He is far more merciful than people may realize. Don’t get me wrong. He did leave us rules to follow. His laws. But he also knows where and when we will fail. If anything God gently picks us up and shows us where we are wrong and how we can make right any wrongs we may have done. God continuously encourages us through scripture when we are afraid, dismayed, discouraged, hurting and at a loss in our own troubles. He guides us back to peace through His comforting words He left behind in scripture. 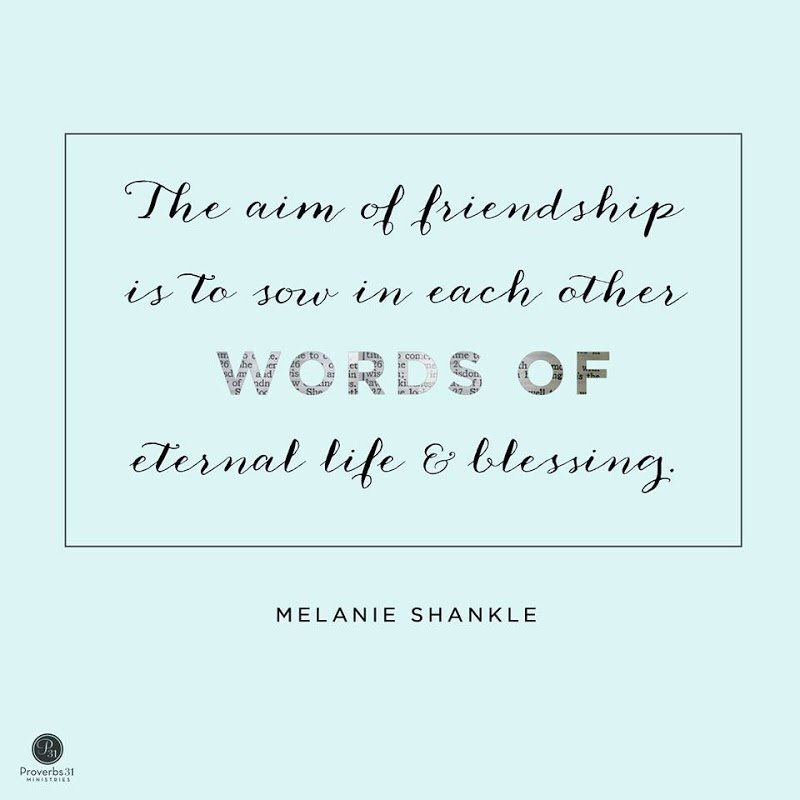 When I saw this quote from Melanie Shankle this morning, I fell in love with her beautiful words of wisdom. “Sow in each other words of eternal life and blessing.” Yes! That’s exactly what we ought to do. Sow into each other. Plant those seeds of God’s unfailing love. Of His words of wisdom and hope. Sow encouraging words not condemning ones. Don’t scare people away. Love them and draw them to God with love and hope. And allow God to do the rest. Just as God gives us encouragement we too should be that friend, child, parent, sibling, co-worker that lends an ear but also shares those words of encouragement. Let us be the people that plant that seed of hope in others. Let us be the people that share God’s undying love with everyone else. Let us be the people to show mercy and grace. Let us be the people sowing seeds for God.